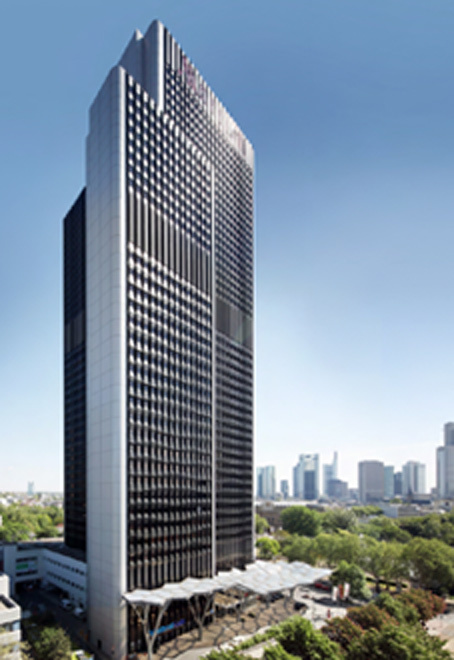 This first class business hotel is well established in Frankfurt’s Landmark Westend district and neighboring Financial district. It is situated opposite the main Exhibition Center in excellent proximity to public transportation, the main train station, and the largest airport in Continental Europe. Among 1st Class comforts and amenities, the hotel boasts having Frankfurt’s largest ballroom and having a Green Building Certification including photovoltaic technology.